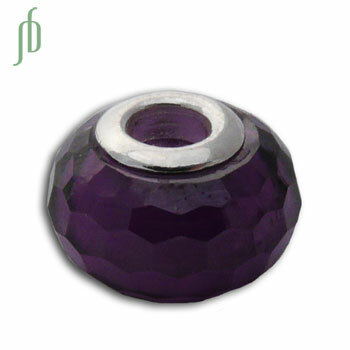 Gorgeous faceted amethyst colored cubic zirconia bead for the crown chakra. This Pandora compatible bead has a 5 mm opening and a sterling silver core. 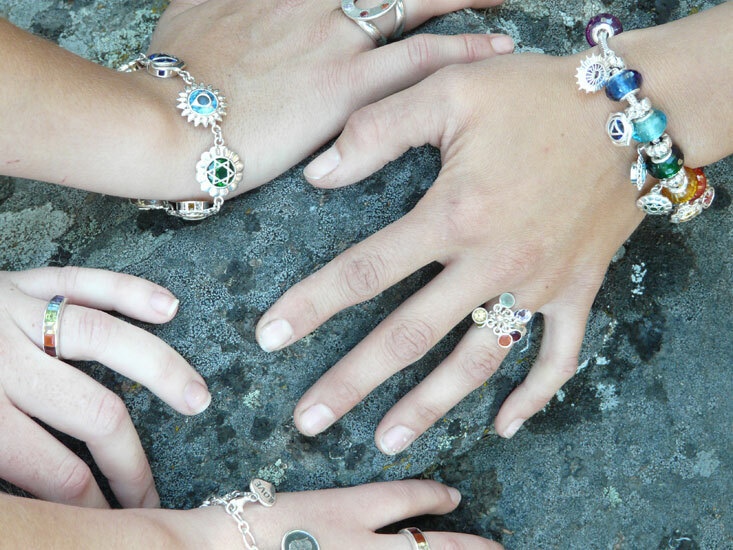 Shanti Boutique's Charmas Good Karma Bead collection has 4.5 -5 mm holes so they will fit Pandora, Troll, Chamilia and other 3 mm chain charm bead systems. The beads are so versatile. You can easily change them out using one of our charmas beads 3mm snake chain bases or add them to your current collection. 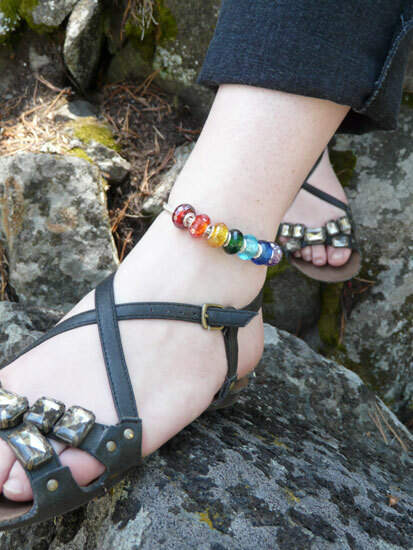 If you already have a Troll or Pandora bracelet, you can simply add one of Shanti Boutique's fair trade charm beads right on!